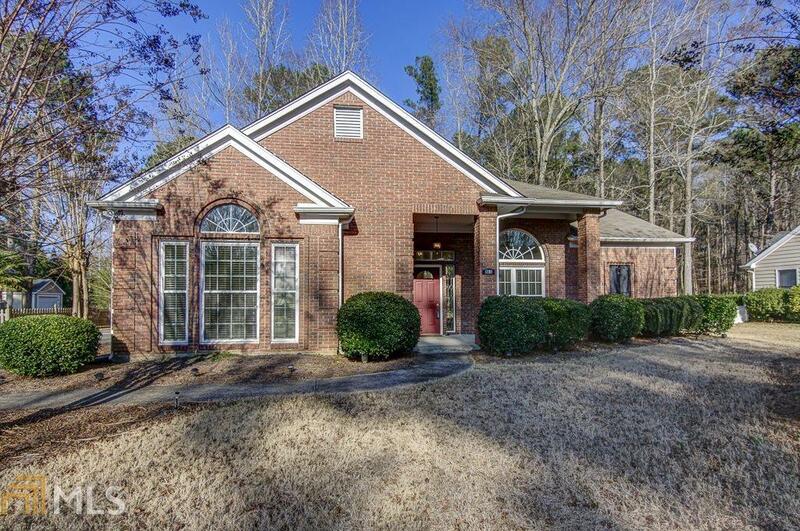 Step less 3 bed 2 bath 3 sided brick ranch in Peachtree City! Split Bedroom plan with Bright and open family room with fireplace. Kitchen with laminate flooring, solid surface counters, upgraded cabinets, breakfast bar and breakfast area. Split bedroom plan with large master bedroom and bath with lots of natural light. Large Master bath with jetted tub, tiled separate shower and double vanity. 2 secondary bedrooms and 2nd bath with tile floors and tub/shower combo. Nice level lot great for a pool. Back patio area open to spacious back yard. Directions: Take Ga-74 S/Joel Cowan Pkwy. Turn Left Onto Holly Grove Rd. Turn Left Onto Rubicon Rd. House Is On The Right.